a marketplace without the money. Our members buy and sell their skills, services and resources they have for those that they need, using a currency called Echoes. 1 hour = 1 Echo. What would it look like to trade without money? What would happen if we valued everyone’s time and skills equally, whether they’re a lawyer or a landscape gardener, an accountant or an app developer? These are the kind of questions we asked when we first started Echo. Starting small, we helped local people get their bikes fixed, practice languages, learn to bake. And pretty soon, businesses wanted in on the action – local theatres traded tickets for front of house support, yoga teachers traded classes for venue space. 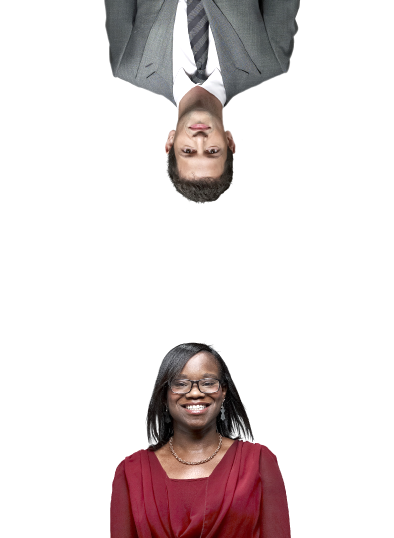 With the support of Nesta and the London Legacy Development Corporation, we launched Hackney Shares, a trading network for businesses based on this same philosophy – trading in time and skills, not pounds and pence. And with several hundred members in the network – from tech startups and cafes to graphic designers and beekeepers, we decided to take the project beyond just Hackney, and launched as Echo. We’re an online marketplace, but our passion is in fostering offline connections, strengthening relationships in and between communities; relationships that we know are key to community cohesion and resilience, enabling people to live more empowered, creative and connected lives. We’re now a network of 5000+ members, ranging from local residents right up to large corporates, all trading with Echoes. We also support small businesses to flourish and grow via our business accelerator programme, Echo++. We’ve got big dreams to see Echo grow by working with like-minded partner organisations who want to launch Echo networks where they are. And we always love to hear from others who have ideas of how they could make Echo work in their communities. You can get in touch via hello@economyofhours.com. 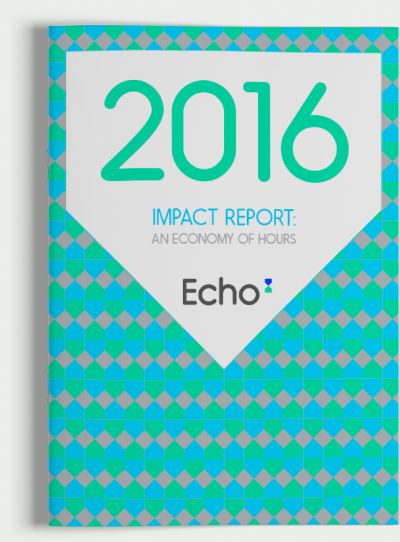 In May 2016, we published our first Impact Report, the result of six months of thorough research and consultation with hundreds of Echo members. In this report, we set out to examine the ways in which Echo can contribute to community connectivity and, ultimately, community prosperity. We think we do this by fostering local and social relationships, and by providing communities with a mechanism to share possibly untapped knowledge, skills and resources to build capacity. Finally, we think that the hard-wired equality of our currency serves as a catalyst for and facilitator of these benefits; one hour = one Echo, no matter what’s being offered.